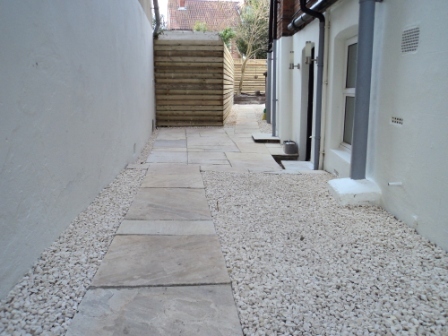 Gardens etc | West Sussex Garden design, landscaping and contracting. 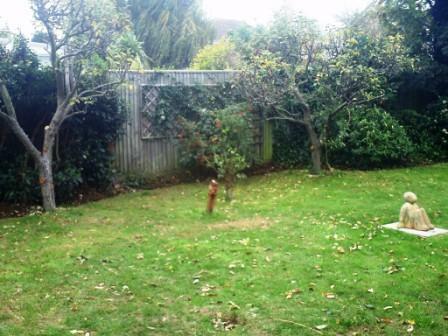 West Sussex Garden design, landscaping and contracting. Thank you for all your hard work, advice and ideas in our recent garden work. You have left us with a garden we can now sit in and enjoy – it appears so much larger and lighter and now is a pleasure to be in. There is so much space I can now start planting again! We wouldn’t hesitate in recommending your service to others and certainly will do so. Thank you again Graham and thanks also to Jake and of course my favourite Earth Architecture employee Smartie! Earth Architecture restores neglected gardens, bringing them back to what they should be and altering them if need be. Restoration is pruning, mainly. Graham specialises in correct pruning. We also go through the borders and redefine the edges. We repair fences, walls and paving and restore lawns, borders and ponds. We basically go through the whole garden, whatever is needed. This skilled service can be carried out just once or twice a year. You will not be tied into any maintenance plan or contract and clients appreciate this. Earth Architecture uses bricks in many garden projects. Brick raised beds, brick paving, brick walls. Bricks bring warmth and character and curves. 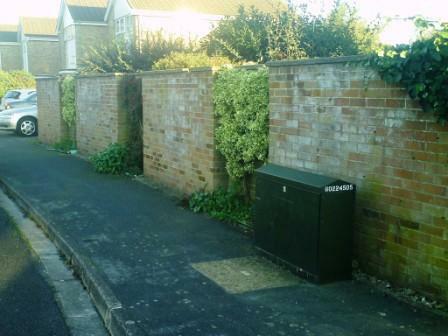 The images below show an old garden wall damaged by ivy and climbing hydrangeas. Imperial bricks were cleaned and reused with new metric locally fired Bexhill Ashdown multi-reds. New piers were also added for strength. We use a special additive to enable bricklaying in frost but the snow in the penultimate image delayed us a little. 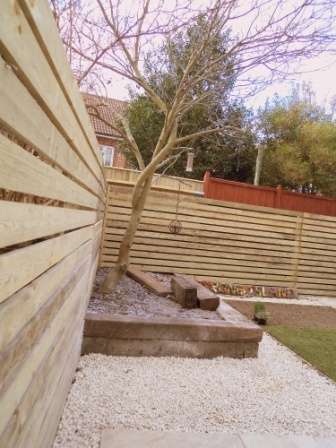 Strong bespoke fencing using recessed concrete posts and rails with feather edge. 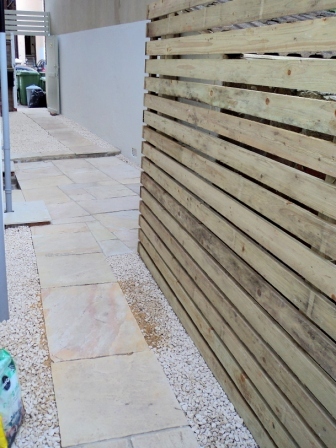 We also construct most other forms of fencing. Many of our gardens incorporate garden lighting, including remote controlled lighting and water features – controlled from the comfort of your home. Our fully qualified and very experienced electrician also fits outside weatherproof sockets and checks your home electrics for safety and makes any changes our clients may require or request. If an outside tap is needed, our plumber can fit one at a reasonable price. 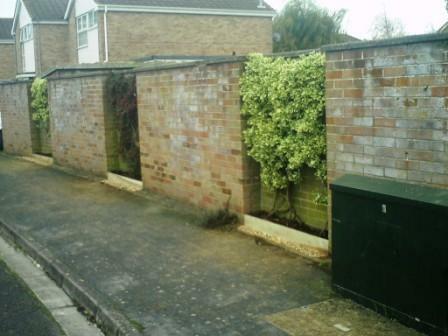 Japanese Knotweed is a growing concern in West Sussex gardens and surrounding areas. 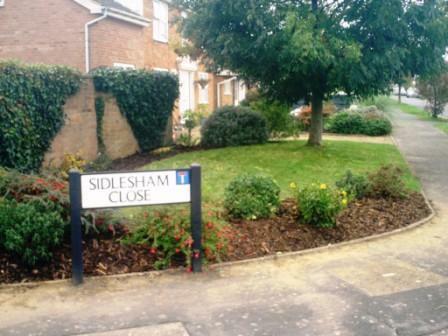 It has generally been ignored by many garden owners and landlords. 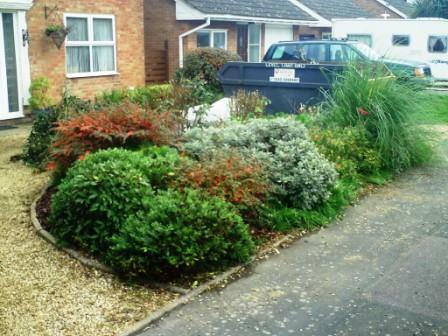 The Council will have nothing to do with it, neither will The Environment Agency when in your own garden. Knotweed is nothing to be frightened of but needs to be killed correctly and at the right times. It is often first seen in the garden next door and then later in your own garden, then in your own house. It grows through concrete and up to 3m in height with the rhizomes (the root) around 2-3m underground, spreading up to 6m easily under and in the soil each year. As much as 10cm growth in the Summer each day. It knows no boundaries and is not class-conscious. Earth Architecture chemically treats Japanese knotweed in the correct manner. 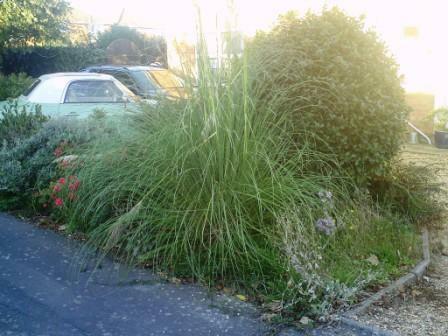 If you see the weed in your own garden please contact Graham for a quote to eradicate it. Start the programme this year and the knotweed should die completely in 3 to 5 years and many more years if you simply ignore the problem. If you cut the knotweed down, you would have made the problem worse. Earth Architecture does not fit decking. It rots, is slippery in the winter, it encourages vermin and is a false economy. 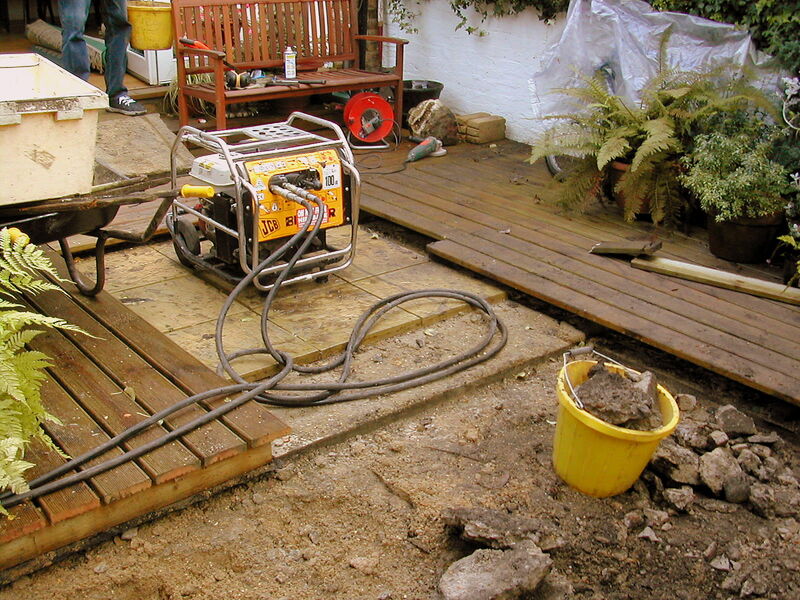 Here we are taking up the rotten decking, breaking the paving and concrete below with an hydraulic breaker to reinstate a beautiful new top quality turf lawn hand-stitched in. 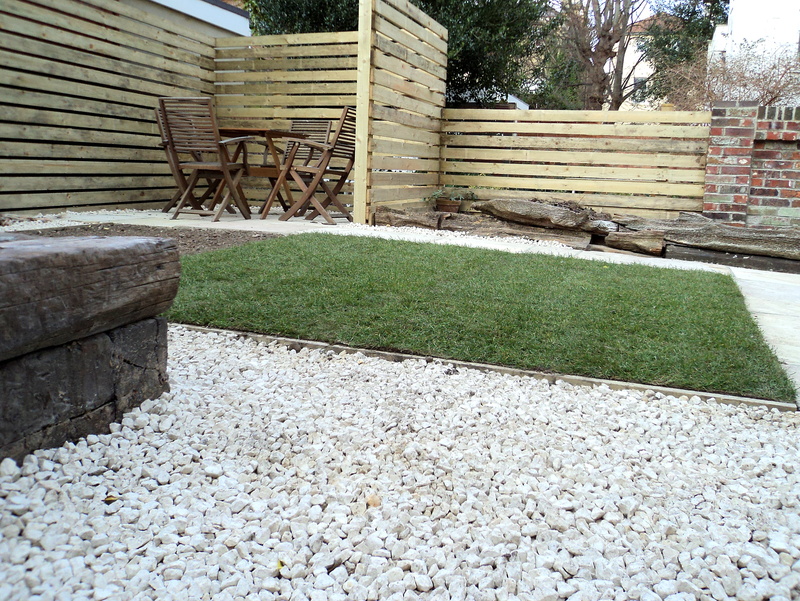 This garden project was for a discerning London client who has a senior position with English Heritage. Earth Architecture does not fit plastic grass. No matter what the quality and the cost, they look and feel inferior to a natural lawn and are environmentally unfriendly. They are more expensive than top quality turf and have none of the qualities. If you have a dog or a cat (or your neighbour has a cat) or if there are foxes in the area or birds fly over head, then we strongly advise not having a plastic lawn fitted. There are natural alternatives and better solutions than plastic. 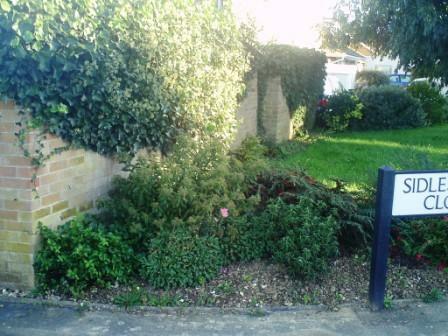 Hand-pruned hedge in Camberley, Surrey. Graham specialises in pruning and has revived hundreds of neglected roses for private clients, vicarages and parsonages. 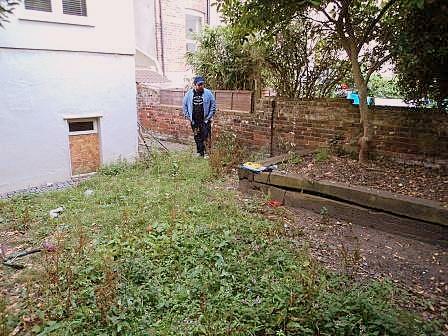 Below you will find further examples of gardens in various stages of development. There are more garden examples under each tab at the top of this page. 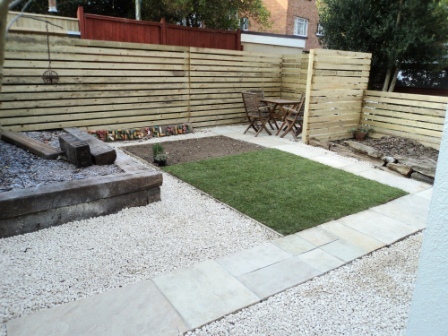 Below is a selection of images showing a garden restoration, design and build project for the busy boss of an international graphics and illustration company. 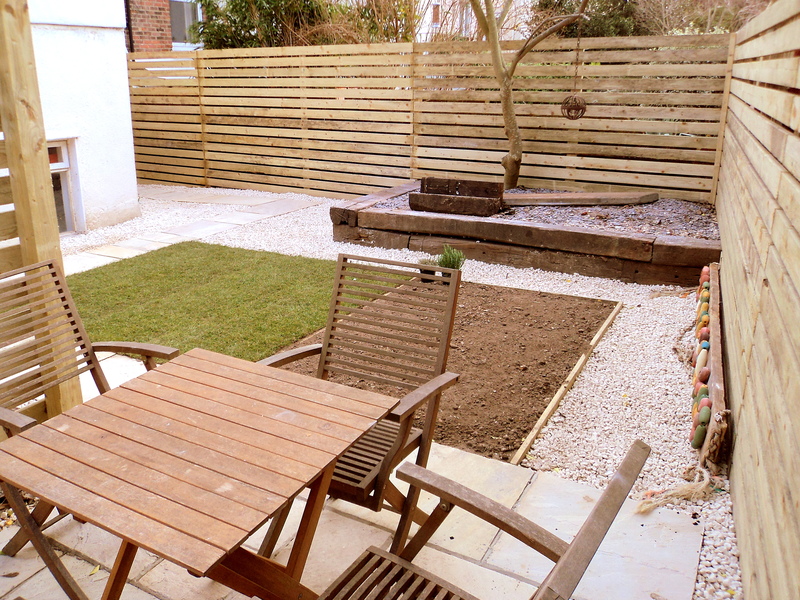 The client wanted a garden that was low maintenance, with simple lines, no curves and a lawn. The client wanted to plant-up the garden himself. 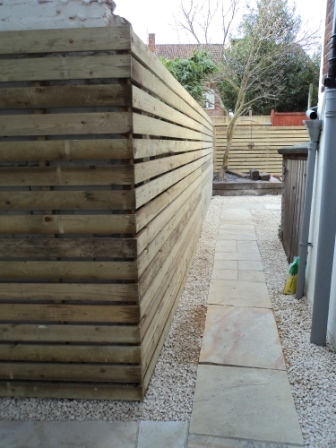 The timber fencing/trellis guised unsightly boundary walls, helping to unify the garden, also giving additional privacy. 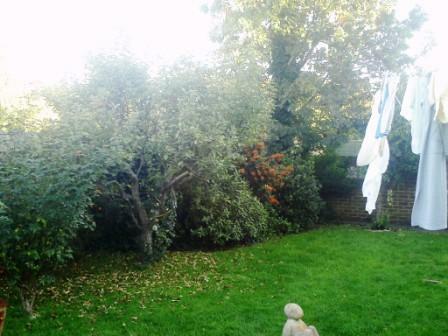 The garden had been neglected for some years. 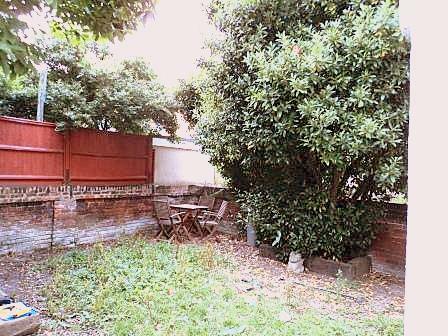 Huge bay trees were removed and a Victorian wall was partially rebuilt. The client loves his new garden and this ultimately is what matters to Earth Architecture. Overlooked by high buildings, a private seating area was constructed. Look out for updates to the intriguing story of this garden on various websites and blogs…or contact Graham for more information. 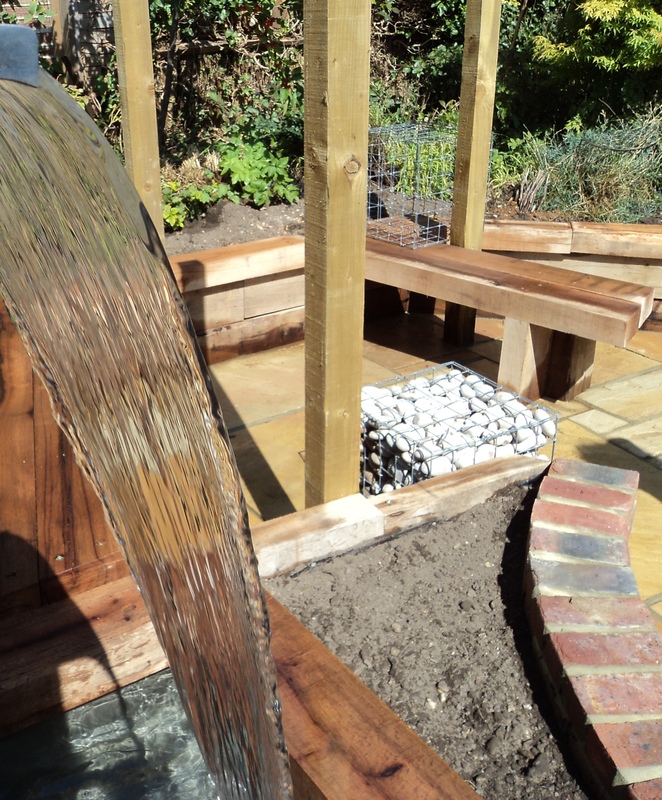 Graham designs and builds beautiful bespoke gardens.